[2011-07-28 10:46:52 - HelloAndroid] Android Launch! [2011-07-28 10:46:52 - HelloAndroid] adb is running normally. [2011-07-28 10:46:52 - HelloAndroid] Automatic Target Mode: Preferred AVD 'my_avd' is not available. Launching new emulator. [2011-07-28 10:47:28 - HelloAndroid] emulator-5554 disconnected! Cancelling 'com.bestvalue.hello.HelloAndroid activity launch'! Change the resolution of the device and it should work. It didn't work for me when the resolution was 1280X800. I changed it to 800X600 and it worked fine. Open the "config.ini" file in Wordpad. Save the file, and then run the emulator again (e.g. "emulator.exe -avd phone"). You must repeat this process for each of your AVDs. PC Ram is less or equal to one defined in AVD. You must set it lower depending on your hardware RAM. Also, some graphic and OpenGL issues found that can be fixed by changing default display to HVGA or setting a lower resolution in AVD. emulator-arm.exe is not working due dual graphic card. select the basic graphical card not high performance one and is going to work. I have nvidia 555M and as bases Intel. Using intel the emulator starts. Two options worked for me: 1. Changing the emulator resolution. I don't know why, but if I change it, it just works. 2. Changind the "Number of emulated web cameras" variable to 0 in AVD. Marking "Use Host GPU" checkbox worked for me. Finally solved this for me after trying all the options above. There is a solution at AndroidDevelopers on Google Plus. If you want to have graphics acceleration enabled by default for this AVD, in the Hardware section of the AVD configuration, click New, select GPU emulation and set the value to Yes. My case was that the skin setting somehow had been changed from WVGA800 to WVGA854 in AVD. After I switch it back, the emulator works. If you don't see an emulator running, check Task Manager to see if you have an emulator-arm process already running. If there is an emulator-arm process, select it, choose "End Process", and try again. Just rebooting my PC worked for me. Use a low resolution device, when I selected Nexus 4 it kept running smoothly with me. Also worth checking that HAXM is installed/enabled (this fixed issue for me, without it got same error as you were reporting and it slowed my Mac to a crawl). Not the answer you're looking for? Browse other questions tagged android mobile android-emulator or ask your own question. 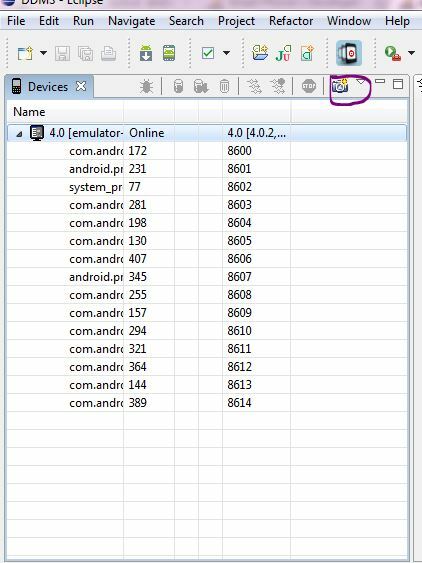 HelloAndroid]emulator-5554 disconnected! Cancelling 'com.example.helloandroid.HelloAndroid activity launch'! Error: "emulator-5554 disconnected! Cancelling activity launch'?